Though, as Caitlyn Jenner explains to Larry King, her gender identity has nothing to do with her sexual orientation, the 'Secrets of my Life' author reveals that she doesn't know whether she's attracted to women – as she has been in the past – or to men. "I don't even go there," she says. Larry King: You never discuss surgery. Caitlyn Jenner: Out of respect. Not just for me. Because those things are very personal, wouldn’t you agree? 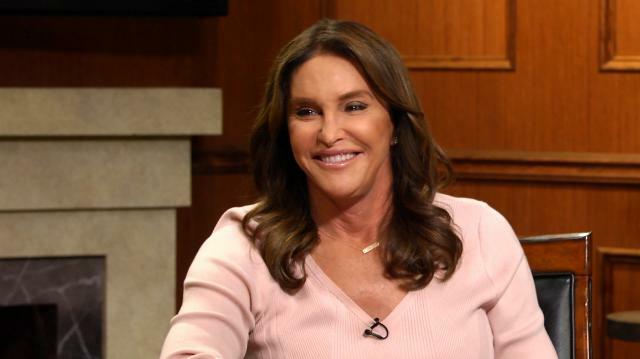 Caitlyn Jenner: Just because you’re trans doesn’t mean that you have to ask every question. Larry King: It’s nobody’s business. Caitlyn Jenner: I understand that people are fascinated by that kind of stuff. Larry King: Well I’m only fascinated for one reason. Larry King: What is the surgery like, what is it like to go through with it. I’ve interviewed transgenders who have told me what it’s like. It’s not as bad as you think, they say. I would imagine surgery’s tough. Caitlyn Jenner: No, it’s not as bad as you think. I’ll go with that. How’s that? Larry King: That wouldn’t affect you. Caitlyn Jenner: Well, no, fortunately I work. And I’m not going to apologize, I’ve worked all my life. Larry King: It’s not covered by insurance. Caitlyn Jenner: But most, as far as getting the time and this and that to be able to do something like that. And what’s between your legs doesn’t define who you are. It’s about what’s here [points to head]. And a lot of them, to be honest with you, like their old parts.